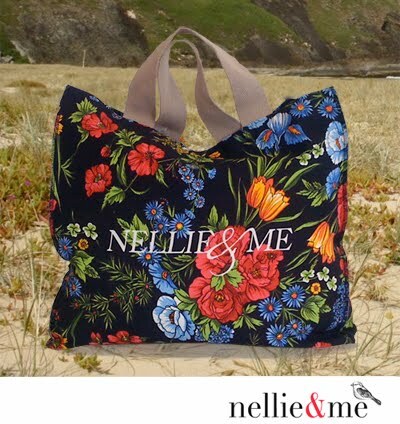 H-O-T Offer: FREE Spring bag from nellie & me! “It may not be exactly picnic or beach weather yet, but that hasn’t stopped nellie & me dreaming about sitting in the sun and unwinding with a nice book and perhaps a cold drink or two. We figured you must be feeling the same way, so nellie & me hit the workshop and came up with this cute casual bag – for when you don’t want to mix sand and grass in with everything else in your handbag! And, because we love you guys so much, we are giving these away for FREE. All you have to do is join the club at www.nellieandme.com.au and we’ll send one straight out to you. Now who can argue with that! I’m in… thanks nellie & me. This entry was posted in Uncategorized and tagged Bags, Special Offer, Spring by houseofturtle. Bookmark the permalink.